SEVEN MONTHS ago I showed that Elsevier “open access” CC-BY papers were incompetently labelled (see http://blogs.ch.cam.ac.uk/pmr/2013/08/12/elsevier-charges-to-read-openaccess-articles/ and following blog posts), and under “Rights and Permissions” charging huge amounts of money. THEY ARE STILL DOING IT. Here’s an Open Access CC-BY article labeled as “All rights reserved” and where you ask permissions they charge 8000 GBP for 100 reprints. EIGHTY QUID for 1 REPRINT. Why doesn’t someone take them to the Trading Standards Office? They are getting money for something they have no right to. They are IMO breaking the contracts with the authors, who have paid thousands of pounds to have the CC-BY licence added. It’s IMMORAL, UNETHICAL and my guess is ILLEGAL. print “Copyright Elsevier” over the RightsLink page. CC-BY does NOT allow Elsevier to claim copyright over the article and my guess is that this could be upheld in court. This service provides permission for reuse only. This is a highly misleading phrase. It is clear that the payment is for “permission” to re use the material. It is very close to demanding a monopoly on access to the material. I also believe that if one has paid for “CC-BY” to have “Elsevier – all rights reserved ” stamped over the product is to provide seriously substandard goods. Remember that the authors may have paid 3000 USD simply to have the CC-BY added to the article and to have the paywall removed. They are not getting what the thought they had paid for. There is NO indication of rights in this document, other than “All rights reserved” as shown here. “Open Access” is legally meaningless. Where we see “Copyright (C) 2014 Elsevier” and “This service provides permission for reuse only”. All you are buying (albeit for huge amounts) is PERMISSION. Permission which is not Elsevier’s to give. This is why it is morally, ethically and probably legally unacceptable. Elsevier have asserted copyright over a document that the have no right to. They know they are doing it – I highlighted it seven months ago in great detail. They continue to do it. I find that unacceptable and I expect everyone outside Elsevier to find the same. No doubt Elsevier representatives will tell us how hard they are working to solve the problem. That they take this very seriously. But they continue to charge for PERMISSION — something that they have no right to charge for. So, I assume they are making money by means where they have no legal basis to do so. I shall not impute motive, but since they know they are doing it they are culpable in my eyes. If they were an airline their planes would have been grounded. They’ve had seven months to take action. A simple solution would be to supplement “Open Access” with “CC-BY” and disable the link to Rightslink. It would take minutes to alter the code. This would ensure that readers knew immediately what the status of the document is. Yes, they might lose some of their “CC-NC” revenue, but at the moment it’s the readers who are losing money. and the PDF http://ac.els-cdn.com/S027737911400050X/1-s2.0-S027737911400050X-main.pdf?_tid=10e06096-a7bd-11e3-a28e-00000aacb361&acdnat=1394391802_bc08d388bcbaad313aad19f39fad62a8 which shows that it’s labelled CC-BY. 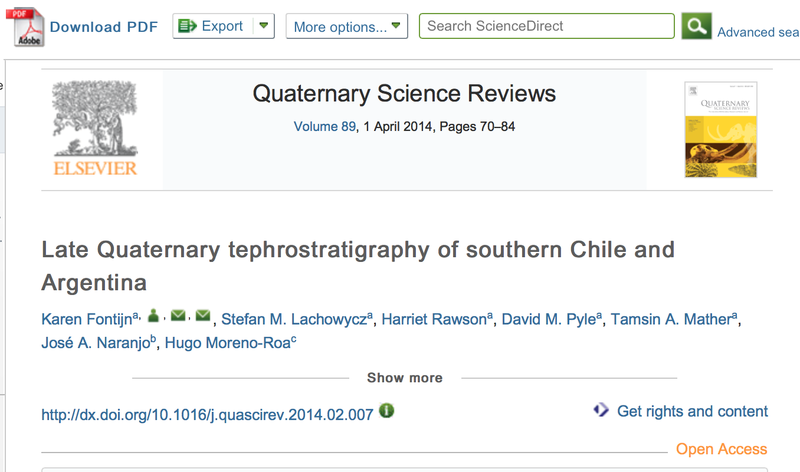 The point was not that Elsevier are charging to print it, but that they are charging for PERMISSION TO PRINT IT. Permission is absolute. If someone demands such payment they are breaking their contract with the author. Sorry, I assumed we were talking “order reprints”. I can see now that if I for example state that I would like to make photocopies of the paper, they also charge me for that. See NOTE. They are demanding money for PERMISSION to reprint, not the cost of reprinting. You will want to review the Creative Commons website and gain a proper understanding of the subject before commenting further, since CC-BY explicitly permits this behavior. That means it’s certainly not illegal and unlikely to be immoral or unethical. You will want to review the Creative Commons website and gain a proper understanding of the subject before commenting further, since CC-BY explicitly does not permit this behavior. That means it’s probably illegal and certainly immoral and unethical. author paid money to have the item licensed under CC BY. Elsevier is in breach of that agreement. Author is now entitled to claim breach of contract by Elsevier, and to put item up themselves somewhere under CC BY terms. 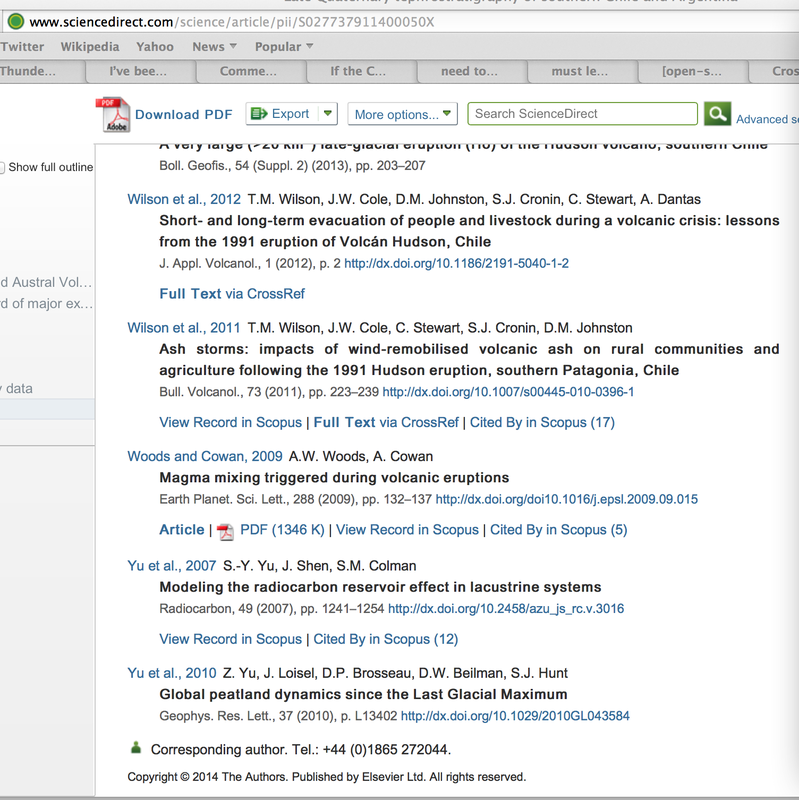 Author is also entitled to contact Elsevier and insist all restrictions on use are removed. Finally, author can sue Elsevier for damages – the cost of the OA licence plus all subsequent costs. My question is as follows: has anyone contacted the author? Is the author aware of what has been done? There is no single “the author” here. This applies to huge numbers of OA papers, perhaps all of them on Elsevier’s servers. I would expect the funders who underwrite all these APCs to object. I had a recent, somewhat-related rant about the integrity of EBSCO listing CC-BY journals with language that completely ignores that they are available as open journals and can be accessed independently of an EBSCO subscription. http://homonym.wordpress.com/2014/02/23/really-ebsco/ . Of course, the argument is, yes, they ‘can’ do this, but I’d like to see some push back on something I feel is a dubious practice that goes against the spirit and intentions of open scholarly publishing. I am going to take this further.